You cannot blame people nowadays for choosing pieces and items that are modular, or that can be easily assembled and disassembled, without them occupying too much space and causing a lot of trouble. 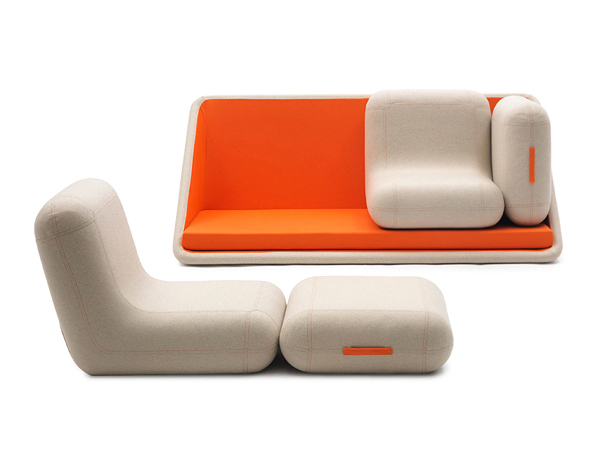 A modular sofa is exactly what anyone who has only a small space to work with would look for. 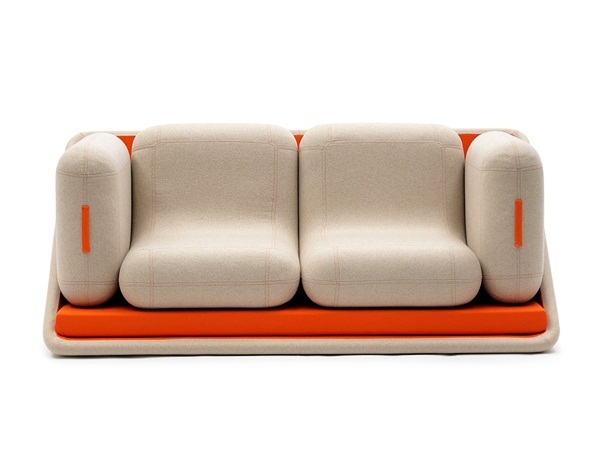 Two of the biggest names in design in Italy certainly accomplished this with the Concentré de Vie Modular Sofa. 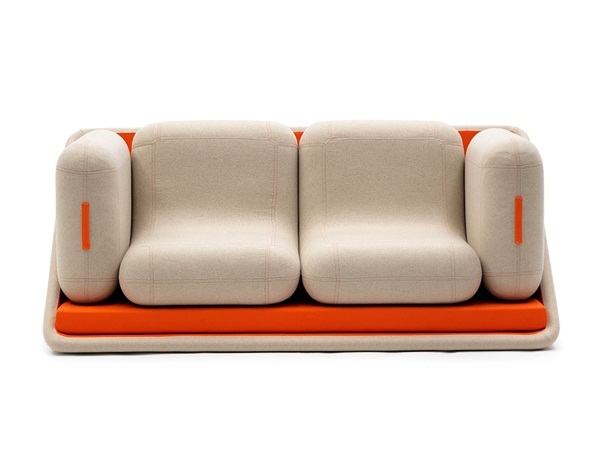 A modular sofa from Italian design powerhouses. Campeggi and Matali Crassett has successfully combined the features of a sofa, a single bed, a footstool and an armchair, in this modular sofa. And all it took was five separate pieces. 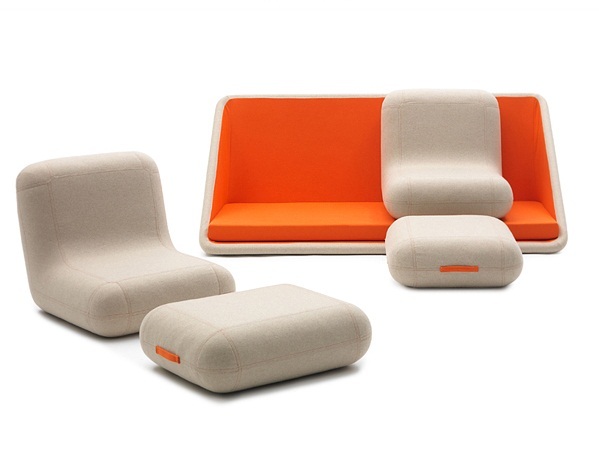 Five pieces for one cohesive piece of furniture. 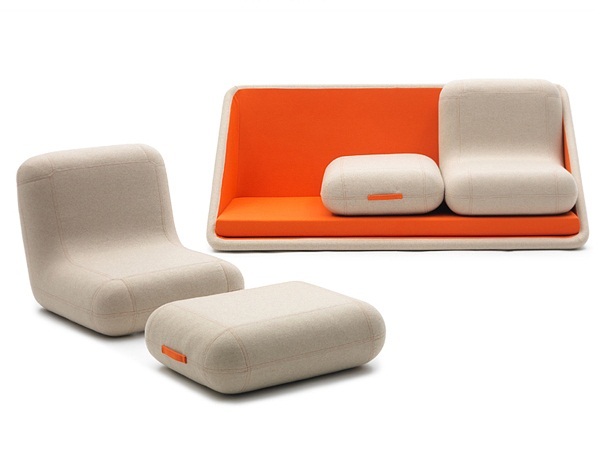 This modular sofa has 5 elements: 2 L-shaped cushions, 2 square cushions, and a pad in the shape of a rectangle. 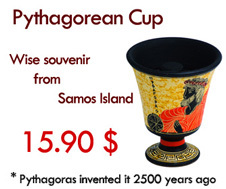 Each of the pieces can be strategically rearranged and, as a result, becoming flexible enough to switch functions. 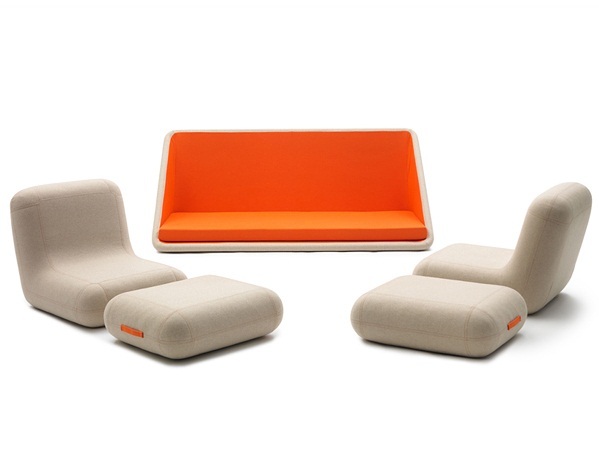 The square cushions could act as armrests or footstools. And if you spread out all the cushions, you have a makeshift bed. All you’d need in your den.